This daily deal is back! 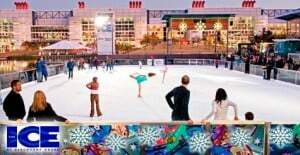 On Voice Daily Deals, you can pay $10 for two tickets plus skate rentals at The Ice at Discovery Green (Reg. $20). The rink is open until January 22. Go HERE to get it. Want to save some money? Check out my new "Links" tab.